Dress up in your Halloween-best and bring the family to one of our Trunk N’ Treat events, happening in Ann Arbor, Clinton, Highland, Fenton, Lansing, and Birch Run ! See details below. Head to LaFontaine Cadillac Buick GMC of Highland on October 25, 2018 from 5:00 to 7:00pm for the 11th Annual Family Fun Fest! Located at 4000 West Highland Rd., Highland, MI, this event will be one to remember. Enjoy free, family-friendly entertainment that includes face painting, trick or treat around the dealership, arts and crafts, balloon fun, donuts and cider, caramel apples and pizza! For more information, please follow our Facebook Page and Family Fun Fest Event. 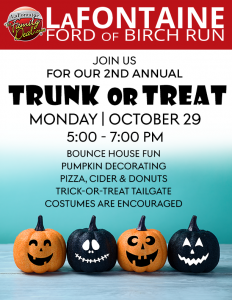 LaFontaine Chrysler Dodge Jeep Ram of Fenton, will be hosting a Trunk or Treat & Something Sweet on October 29th, 2018 from 5:00 to 7:00 PM at 15123 North Rd, Fenton, MI. This event is hosted by LaFontaine Chrysler Dodge Jeep Ram of Fenton and welcomes all of the Fenton community to attend. There will be trick-or-treating, cider & donuts from Spicer Orchards, and pumpkins to decorate! Costumes are welcome! For more information, please follow our Facebook Page and Trunk or Treat Event. 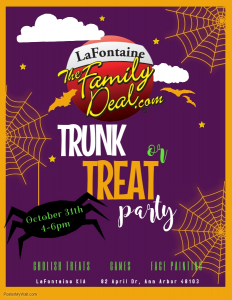 LaFontaine Kia of Ann Arbor, will be hosting a Trunk Or Treat on October 31st, 2018 from 4:00 to 6:00pm at 82 Aprill Dr., Ann Arbor, MI. 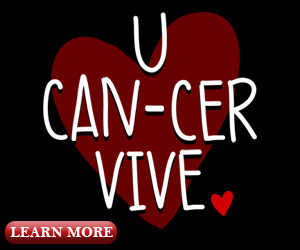 This is the second annual event hosted by LaFontaine Kia of Ann Arbor and welcomes all of the Ann Arbor community to attend. Enjoy free family-friendly entertainment with cider and donuts, games and face painting. For more information, please follow our Facebook Page! 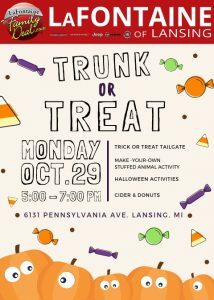 LaFontaine Chrysler Dodge Jeep Ram Fiat of Lansing is proud to host a Trunk or Treat event on October 29th, 2018 from 5:00 to 7:00pm at 6131 S Pennsylvania Ave, Lansing MI. Dress your family in their Halloween best for free entertainment including face painting, trick or treat tailgate, Halloween activities, pumpkin decorating, and cider and donuts! For more information, please follow our Facebook Page and Trunk or Treat Event. 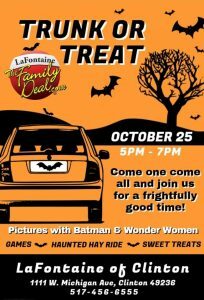 LaFontaine Chrysler Dodge Jeep Ram of Clinton is proud to host a Trunk or Treat event on October 25th, 2018 from 5:00 to 7:00pm at 1111 W. Michigan Ave, Clinton MI. Dress your family in their Halloween best for free entertainment including face painting, trick or treat tailgate, Halloween activities, pumpkin decorating, and cider and donuts! For more information, please follow our Facebook Page and Trunk or Treat Event!